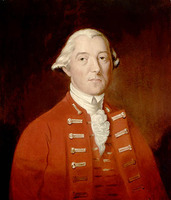 SHERBROOKE, Sir JOHN COAPE, army officer and colonial administrator; baptized 29 April 1764 in Arnold, Nottinghamshire, England, son of William Sherbrooke (Coape) and Sarah Sherbrooke; m. 24 Aug. 1811 Katherine (Katherina) Pyndar at Areley Kings, England, and they had no children; d. 14 Feb. 1830 in Calverton, Nottinghamshire, and was buried in nearby Oxton. Born into the landed gentry, John Coape Sherbrooke began his career in the British army on 7 Dec. 1780, when he was appointed an ensign in the 4th Foot. He was promoted lieutenant on 22 Dec. 1781 and in March 1783 became a captain in the 85th Foot, but the regiment was disbanded later that year. On 23 June 1784 he obtained a company in the 33rd Foot, then serving in Nova Scotia. While Sherbrooke was stationed at Sydney, Cape Breton, in 1784–85, a strange incident occurred: he and Lieutenant George Wynyard thought they saw the ghost of Wynyard’s brother, who, they later heard, had died in England at that very moment. In 1786 the 33rd returned to England and an uneventful period intervened in Sherbrooke’s military career until war broke out between Britain and revolutionary France. 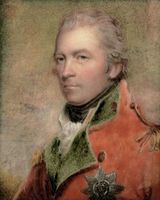 Promoted major on 30 Sept. 1793 and lieutenant-colonel on 24 May 1794, Sherbrooke travelled with his regiment that July to Ostend to join the Duke of York’s army in the Flanders campaign. Returning home in 1795, the 33rd was ordered to sail with an expeditionary force to the West Indies but storms drove the ships back to England. In April 1796 Sherbrooke embarked with his regiment for India, landing at Calcutta the following February. Raised to the rank of colonel in the army on 1 Jan. 1798, he took part in the Mysore War of 1799, including the siege of Seringapatam. He suffered such persistent ill health during his time in India that he was forced in January 1800 to return to England, where he was placed on half pay in 1802. 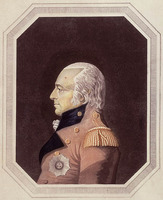 With the resumption of war with France he took command in July 1803 of the 4th Battalion of Reserve, stationed at Norman Cross. On 1 Jan. 1805 Sherbrooke was promoted major-general and in June was sent to Sicily, where in February 1807 he became commander of the Sicilian Regiment. With French forces active in southern Italy and the Mediterranean, his energies were largely devoted to diplomatic activities and confounding the intrigues of the court at Palermo, which he did with adroitness and resolution. In May 1807 he went on a diplomatic mission to Egypt. A fellow army officer, Henry Edward Bunbury, has left a vivid description of the fiery, pugnacious Sherbrooke at this time. When he arrived in Sicily, “the brigade he commanded winced a little under the sharpness of his discipline, while they revenged themselves by comical stories of his rough sayings and impetuous temper. . . . A short, square, hardy little man, with a countenance that told at once the determined fortitude of his nature. Without genius, without education, hot as pepper, and rough in his language, but with a warm heart and generous feelings; true, straight forward, scorning finesse and craft and meanness, and giving vent to his detestation with boiling eagerness, and in the plainest terms. As an officer, full of energy, rousing others to exertion, and indefatigable in his own person.” During the first half of 1808 he assumed temporary command of all British troops in Sicily until, relieved by Sir John Stuart, he went home on leave in June. Transferring to the 68th Foot in May 1809, Sherbrooke served in the Peninsular campaign, with the local rank of lieutenant-general, as second in command to Arthur Wellesley, who later commented that “Sherbrooke was a very good officer, but the most passionate man I think I ever knew.” In acknowledgement of his exploits in the battles of Oporto and Talavera he was made a KCB in September 1809. Again experiencing poor health, he was forced in May 1810 to return to England and recuperate at Cheltenham. On 4 June 1811 he was promoted full lieutenant-general and the following month appointed lieutenant governor of Nova Scotia, his commission being dated 19 August. 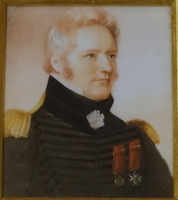 Taking time to get married, he left Portsmouth on 8 September with his new wife and her sister and arrived at Halifax on 16 October to assume his gubernatorial duties and his responsibilities as commander of the forces in the Atlantic provinces. The five years of Sherbrooke’s administration were dominated by war with the United States, which broke out in June 1812, and matters relating to the colony’s defence. With dilapidated fortifications and limited military resources, the needs of the Canadas being more urgent, he could do little to secure the scattered, vulnerable outports against the threat of invasion or the ravages of American privateers beyond mounting guns at harbour entrances and placing the militia in a state of readiness. For the rest, he had to rely on naval protection as British ships patrolled the seas and later blockaded the American coast, occasionally clashing with enemy men-of-war as in the celebrated engagement of the Shannon, commanded by Philip Bowes Vere Broke*, and the Chesapeake in June 1813. For the dual purposes of security and commerce Sherbrooke issued proclamations declaring a friendly disposition towards the adjacent New England states, where the outbreak of war was highly unpopular, and a willingness to continue trading with them by means of licences, a mutually convenient arrangement extensively supplemented by more clandestine operations throughout the war. Despite his initial anxieties about the shortage of specie and provisions, the war proved to be profitable for Nova Scotia. Sherbrooke’s calculated commercial policy, which stimulated the free exchange of goods with New England, turned the Atlantic provinces into a thriving entrepôt for international trade. This lively commercial activity, the opportunities for privateering and smuggling, the increased demand for timber, and the enlarged expenditure of the commissariat all gave an artificial fillip to the Nova Scotian economy which, predictably, did not long outlast the return to peace in 1815. The uneasy but lucrative state of commercial cooperation and military neutrality which existed between the Maritime colonies and New England was transfigured in 1814. Adopting a more belligerent posture in North America with the defeat of Napoleon in Europe, the British government instructed Sherbrooke to guarantee winter communications with the Canadas and to put pressure on the United States government by occupying part of present-day Maine. Deciding to strike at the long-disputed borderland between Passamaquoddy Bay and the Penobscot River, Sherbrooke led an expeditionary force that August which successfully landed at Castine and proceeded to subdue the entire region between the Penobscot and the St Croix. Having arranged for the civil administration and commercial regulation of this British enclave, he returned to Halifax, after an absence of less than four weeks, to resume the more mundane responsibilities of a war now entering its closing stages: accommodating American and French prisoners on Melville Island, distributing to the Indians presents of damaged provisions and worn-out blankets from the Board of Ordnance store, and procrastinating over the settlement of refugee blacks on land grants. The eight-month occupation of Castine yielded customs revenues which were subsequently used to finance a military library in Halifax and found Dalhousie College. To express local feelings of pride and triumph engendered by the war the Nova Scotia House of Assembly voted Sherbrooke £1,000 for the purchase of a piece of plate. Sherbrooke’s unexpected talents as a civil administrator, later so evident in Lower Canada, were revealed in his pragmatic approach to religious affairs in Nova Scotia. As a practising Anglican, he appreciated the value of an established church for promoting the loyalty and welfare of the inhabitants. 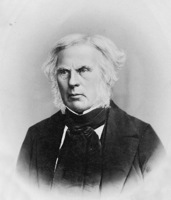 He found with regret that in a community largely peopled by dissenters “the established Religion is very far from being in a flourishing state at present.” Like Bishop Charles Inglis*, he felt that part of the Anglican. malaise could be attributed to the inadequacy of clerical incomes. The financial problem, however, was easier to identify than remedy. Sherbrooke was unable to persuade the provincial assembly, dominated by dissenters, to make provision for the Church of England even when he offered, as an incentive to generosity, a suspension of the threatened collection of quitrents owed on land grants. While looking to the imperial authorities for remedial action, he could do no more than continue the practice of allocating to the church small sums from the arms and accoutrements fund, generated by a duty on distilled liquors, and set aside lands as a potential endowment for a dean and chapter and for glebes and schools, a belated and wholly unsuccessful attempt to emulate the clergy reserves in the Canadas. 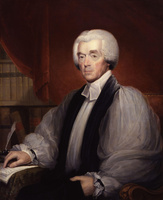 Sherbrooke’s concern for the welfare of the Church of England was coupled with a candid recognition of the need for a latitudinarian and placatory approach to matters of religion in a multiconfessional society. Expecting in 1812 that a new bishop would soon have to be appointed to succeed the ailing Inglis, Sherbrooke advised the colonial secretary that Nova Scotia required “a person of great coolness, moderation & good sense to soothe & conciliate rather than irritate & disgust the dissenters which might disturb the peace of the country and at the same time it demands firmness to support the Established religion.” None of the local aspirants seemed to him suitably qualified, and he took a positive aversion to the assertive high churchmanship of John Inglis*, whose father wanted him to be acknowledged his successor. Both instinct and expediency led Sherbrooke to favour broad churchmanship and inter-denominational cooperation. 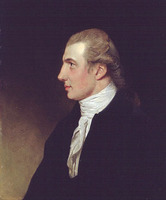 His independence of mind and aloofness from religious and political factionalism were well regarded by Nova Scotians, and his successor, Lord Dalhousie [Ramsay*], was urged by members of the legislature to pursue the same line of conduct. On 10 April 1816 Sherbrooke was commissioned governor-in-chief of British North America. Leaving Halifax on 27 June, he arrived at Quebec to assume his new responsibilities on 12 July. He did so in the aftermath of the American war and of bitter party strife. The previous governor, Sir George Prevost*, who had been under attack from the English party for his handling of military operations during the war and for his appeasement of the Canadians, had been recalled the previous year. 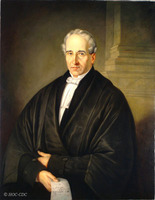 For its part, the Canadian party had launched impeachment proceedings in the Lower Canadian assembly against the two chief justices, Jonathan Sewell* and James Monk. Sherbrooke was determined from the outset not to become embroiled in partisan politics but to steer a neutral, conciliatory course with the aid of personal suasion and fair dealing. 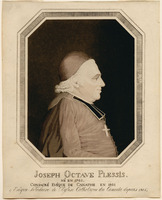 Fully conscious of the need to secure and retain the colonial secretary’s approval for his strategy, he was at first placed in a dilemma by Earl Bathurst’s well-meaning but unrealistic instructions that he should cultivate the goodwill of Bishop Joseph-Octave Plessis and the Catholic clergy and, at the same time, work closely with Sewell, a leader of the English party, now returned in triumph to Quebec after his vindication by the Privy Council. Sherbrooke pointed out the impossibility of reconciling these two objectives. He described the deep-rooted loathing of Sewell that prevailed among the Canadians, and particularly among the Catholic clergy who blamed him for the colony’s ills. This might be an unreasoning prejudice, deliberately cultivated by “designing demagogues,” but its existence had to be recognized and accommodated if political harmony was to be restored. Sherbrooke would support Sewell and try to propitiate the leaders of the English party, but he believed that a conciliatory policy depended in large measure for its success on his establishing a good understanding with the Roman Catholic bishop. 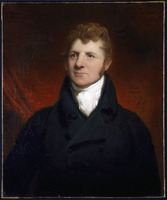 Sherbrooke was able to supplement his understanding with Plessis by winning the support of Louis-Joseph Papineau*, the young and as yet impressionable speaker of the legislative assembly, who was eager to enhance the prestige of his position and guarantee his income. Sherbrooke arranged for the speaker’s salary of £1,000 a year, originally granted for the duration of the war, to be made permanent, and he purchased the concurrence of the Legislative Council by paying Sewell the same stipend as speaker of the upper house. Through candour and courtesy Sherbrooke managed to establish a cordial, even paternal, relationship with the French Canadian politician who was later to become the scourge of governors less astute and accommodating in their conduct. 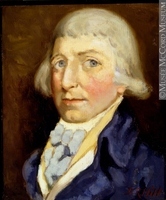 Sherbrooke capitalized on his good understanding with the speaker of the assembly when he turned to unravel the colony’s chaotic financial affairs and secured an amicable agreement over the voting of supplies in 1818, a rare achievement for a governor of Lower Canada. Since the days of Lord Dorchester [Guy Carleton*] the executive had sought to avoid a full disclosure of the civil list, as well as an increase in the assembly’s financial powers, by presenting the annual estimates in a severely truncated fashion and requesting the legislature to vote money to cover what was only a proportion of the government’s expenditure. The balance had been supplied chiefly from customs duties levied under the Quebec Revenue Act of 1774 and from other crown revenues not subject to appropriation by the legislature. As the manifold expenses of administering a large province had grown, however, especially during the War of 1812, it had become customary to meet the annual deficit by resorting to a British military account known as “army extraordinaries,” a seemingly limitless fund not yet subject to parliamentary scrutiny, which routinely covered a host of items neither military nor extraordinary. A further complication facing Sherbrooke had arisen from the practice, begun by Governor Sir James Henry Craig* when he rejected the assembly’s offer to negotiate a civil list in 1810 and extended by Prevost during the American war, of borrowing covertly from the provincial treasury the accumulating proceeds of local revenue acts, with the intention that the money would eventually be repaid. This appropriation of funds was referred to as a “debt” owed by Britain to the colony, but none of the imperial authorities had apparently known about it until Sherbrooke’s revelations in 1817, when the accumulated total stood at £120,000. To introduce some regularity into financial procedures and eliminate both the past “debt” and future deficits, Sherbrooke suggested in 1818 seeking an accommodation with the assembly. This would involve annual consideration of the budget by the legislature and the voting of adequate supplies for the ordinary expenditure of the province, but would stop short of recognizing the assembly’s right to control all forms of revenue. 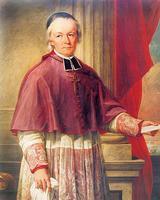 Once he had obtained the colonial secretary’s approval for this negotiation in the interests of imperial retrenchment, Sherbrooke was prepared to include in the estimate all items, however inexplicable, except clerical salaries, which Plessis was as anxious to omit as the Anglican bishop, Jacob Mountain. 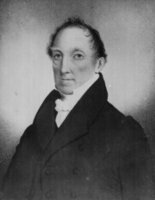 Compared with past and future controversies over financial control, the discussion in 1818 was pursued by both houses of the legislature with remarkable speed and unanimity. The assembly protested moderately against the payment of salaries to absentee office holders and Sherbrooke recommended to Bathurst that such items should be eliminated from future estimates. Because of this objection and the governor’s inopportune illness, the assembly did not frame its vote in the shape of a regular appropriation bill but presented instead an address authorizing the governor to draw on unappropriated revenues to meet his budgetary deficit. This loose procedure was ill judged: a golden opportunity to establish a precedent for future supply bills was lost and financial appropriation again became a perennial bone of contention between governors and assemblies who were not on cordial terms. Sherbrooke’s health had not been robust since his arrival in Lower Canada. During 1817 he complained that the disabilities contracted in India were aggravated by the severe winter climate and advised Bathurst that he would be obliged to resign his commission the following year, even though he regretted the frequent changes of governor and for himself rued the loss of income which premature retirement would entail. On 6 Feb. 1818 he suffered a severe paralytic stroke and at once resigned, recommending Dalhousie as his successor. 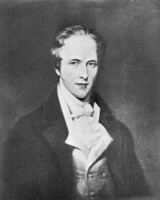 On 30 July he handed over the administration instead to the Duke of Richmond [Lennox*], Bathurst’s brother-in-law, and the following month he left for England. With his health partially recovered and sustained by visits to the spas of Cheltenham and Bath, Sherbrooke lived quietly in the English countryside at Calverton. From time to time he was visited there by Canadians, including Plessis in 1819, and he corresponded with colonists and British government officials about Canadian affairs, such as the abortive bill for a reunion of the provinces in 1822, until his death in 1830. It might seem surprising that a military man of violent temper and indifferent health should have achieved such remarkable success in making the constitution of Lower Canada work harmoniously and in winning the confidence and respect of colonists of all parties. Appointed to a colonial governorship at the age of 46 as a reward for military services, Sherbrooke proceeded to display in that civilian capacity unexpected gifts as an astute diplomat and conciliator. Though instinctively conservative, he was no reactionary and his thoroughly pragmatic approach to colonial politics enabled him to preserve a sense of proportion and detachment. He was encumbered neither by strong prejudices nor by undue sensitivity about official prerogatives or personal honour, which so vitiated the conduct of governors like Dalhousie. The secret of Sherbrooke’s success lay in a declared determination to combat factionalism and adopt a neutral stance, allied with the necessary independence of mind to pursue these objectives unswervingly and the engaging frankness of manner to convince all kinds of men of his probity and even-handedness. 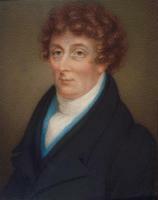 It would be impossible, Herman Witsius Ryland* avowed in January 1817, “to see a more amicable, upright and honorable Man, and I feel persuaded that his manly Candour, firmness and good sense will ensure Respect, & Compliance with his Views from the major part of the Assembly.” Circumstances also favoured Sherbrooke. Not only did he receive full approval as well as a free hand from the colonial secretary, but he managed to establish a friendly rapport with leading political and religious figures in the province, such as Papineau and Plessis, whose interests and inclination made them at that particular moment receptive to such overtures. Through force of character and shrewd management Sherbrooke secured a lull in the politics of confrontation in Lower Canada. 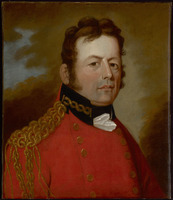 In so doing he attained for himself the rare distinction of being a senior military officer in the Wellingtonian army whose reputation was enhanced when he became a colonial administrator. 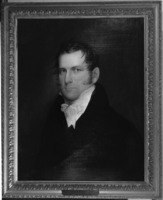 A portrait of Sherbrooke painted by Robert Field* is in the possession of the Halifax Club. Nottinghamshire Record Office (Nottingham, Eng. ), Reg. of baptisms for the parish of Arnold, 29 April 1764. PAC, MG 23, GII, 10, vol.5; MG 24, A57 (mfm. ); B3, 3–4. PANS, MG 100, 152, no.1; RG 1, 62–63, 111–11A. PRO, CO 42/166–79; CO 43/23–25; CO 217/88–98; CO 218/28–29. H. [E.] Bunbury, Narratives of some passages in the great war with France, from 1799 to 1810 (London, 1854). Gentleman’s Magazine, January–June 1830: 558–59. L.C., House of Assembly, Journals, 1816–18. N.S., House of Assembly, Journal and proc., 1811–16. P. H. [Stanhope], 5th Earl Stanhope, Notes of conversations with the Duke of Wellington, 1831–1851 (London, 1888; repr. New York, 1973). Halifax Journal, 19 April 1830. Cornelius Brown, Lives of Nottinghamshire worthies . . . (London, 1882), 326–27. DNB. G.B., WO, Army list, 1780–1830. 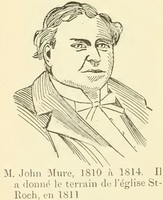 H. J. Morgan, Sketches of celebrated Canadians. Wallace, Macmillan dict. Christie, Hist. of L.C. (1848–55), vol.2. Judith Fingard, The Anglican design in loyalist Nova Scotia, 1783–1816 (London, 1972). Lambert, “Joseph-Octave Plessis.” W. S. MacNutt, The Atlantic provinces: the emergence of colonial society, 1712–1857 (Toronto, 1965). A. P. Martin, Life and letters of the Right Honourable Robert Lowe, Viscount Sherbrooke . . . with a memoir of Sir John Coape Sherbrooke . . . (2v., London, 1893). Murdoch, Hist. of N.S. Ouellet, Economic and social hist. of Que. ; Lower Canada (Claxton). Taft Manning, Revolt of French Canada. Evening Mail (Halifax), 11 Nov. 1896. D. C. Harvey, “The Halifax–Castine expedition,” Dalhousie Rev., 18 (1938–39): 207–13. Helen Taft Manning, “The civil list of Lower Canada,” CHR, 24 (1943): 24–47. Peter Burroughs, “SHERBROOKE, Sir JOHN COAPE,” in Dictionary of Canadian Biography, vol. 6, University of Toronto/Université Laval, 2003–, accessed April 21, 2019, http://www.biographi.ca/en/bio/sherbrooke_john_coape_6E.html.